Tanya Hewitt has a PhD from the University of Ottawa in Population Health, with a focus on incident reporting systems. 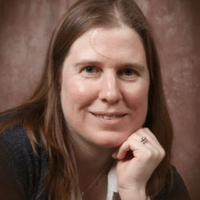 She has a BSc in Physics from the University of Guelph, an MSc in Medical Physics from Carleton University, and a Graduate Certificate from the University of Ottawa in Risk Assessment and Management in Population Health. She has written peer reviewed articles and has given many presentations. She has worked for the CNSC for 17 years, with the majority of this time being a Class II physics specialist in the Directorate of Nuclear Substance Regulation. She is now a Human and Organizational Factors Specialist in the Directorate of Safety Management.